The U.S. government's latest plan for offsetting the harm to migrating salmon from a series of dams in the Columbia River watershed violates the Endangered Species Act, a federal judge ruled on Wednesday. The ruling in a case stretching back 15 years marks a victory for environmental advocates, the Nez Perce Tribe, anglers and others who sued government agencies over their plan for aiding salmon and steelhead that travel between the Pacific Ocean and the upper reaches of the inland Northwest. The case lays bare a long-simmering fight over competing interests - energy production and the environment - along the fourth largest river on the North American continent. The battle is centered on how the dams the federal government says generate electric power crucial for the region effects the more than a dozen groups of salmonids that are listed as endangered or threatened under U.S. law that must traverse the barriers along their arduous path to reproduce. In rejecting the government's 2014 plan, U.S. District judge Michael Simon, in Portland, Oregon, said it relied too heavily on uncertain habitat restoration, among other failures. "These efforts have already cost billions of dollars, yet they are failing," Simon wrote in a 149-page opinion. Simon's ruling marked the fifth time since 2001 that a federal judge has invalidated the government's proposed plan. Michael Milstein, a spokesman for NOAA Fisheries, a defendant in the case, said the government was disappointed with the ruling and vowed to "continue our efforts with our partners to protect salmon and steelhead in the Basin and work toward their recovery." Simon also ruled that the U.S. Army Corps of Engineers did not prepare adequate environmental impact statements in violation of federal law, and the government's plan failed to capture the impact of climate change. Simon ordered the federal agencies to submit a new biological opinion by March 2018 but stopped short of halting their work to aid the fish or setting forth new courses of action. 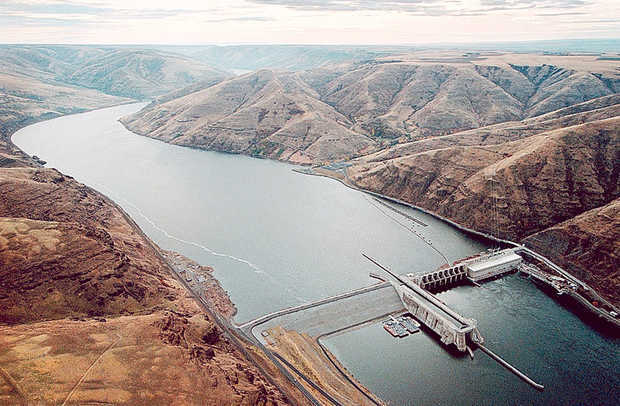 He did, however, say the federal agencies have for decades "done their utmost" to avoid considering the "reasonable alternative of breaching, bypassing, or removing, one or more of the four Lower Snake River Dams," referring to the Columbia's primary tributary. "Hundreds of thousands of adult salmon died last summer because of warm water in the Columbia and Snake reservoirs," said Todd True an attorney for the plaintiffs from the advocacy group Earthjustice. "It's time to finally get this right."